The Best Mainframe Blogs from thousands of Mainframe blogs on the web using search and social metrics. Subscribe to these websites because they are actively working to educate, inspire, and empower their readers with frequent updates and high-quality information. 2.11 Interskill Learning | MAINFRAME TRAINING ONLINE! Mainframe newsletter is a comprehensive summary of the day's most important blog posts and news articles from the best Mainframe websites on the web, and delivered to your email inbox each morning. To subscribe, simply provide us with your email address. Global About Blog IBM DevOps solutions for Enterprise Systems optimize development, testing, and deployment of enterprise applications. It helps streamline existing infrastructure and accelerate the delivery of high quality software while lowering overall cost. Facebook fans 47,280. Twitter followers 91,699. Minneapolis, MN About Blog The Destination z community website offers a one-stop shop for everything related to IBM System z mainframe. Content is relevant to System z business partners, clients, academia and mainframe enthusiasts. It is a community site that encourages mainframe learning, collaborating and sharing of expertise. Facebook fans 536. Twitter followers 2,158. Houston, TX About Blog BMC helps customers run and reinvent their businesses with open, scalable, and modular solutions to complex IT problems. Facebook fans 69,809. Twitter followers 56,020. United Kingdom About Blog Your go-to blog for everything Mainframe, z Systems and LinuxONE. Facebook fans n/a. Twitter followers 5,953. About Blog The Open Mainframe Project is intended to serve as a focal point for deployment and use of Linux and Open Source in a mainframe computing environment. The Project intends to increase collaboration across the mainframe community and to develop shared tool sets and resources. US About Blog Read the latest from our experts on mainframe agility, enterprise DevOps, COBOL, Security and more on Compuware blog, Inside Tech Talk. Facebook fans 3,062. Twitter followers 7,634. About Blog The world's premiere mainframe blog, providing resources for leading-edge mainframe technology and open discussion to the mainframe community. About Blog IBMMAINFRAMES.com is an independent software organization, started in 1998 at Chennai by a team of 25 unique-minded mainframe professionals to make a communication channel among worldwide mainframe programmers by providing technical support, training and B2B software products. About Blog Millennial Mainframer is a fresh look at mainframes and associated Information Technology topics from a Millennial perspective. Facebook fans 2,177. Twitter followers 499. San Francisco, CA About Blog Discussion of all things Mainframe - hardware & software, programming & support. Facebook fans 1,206,815. Twitter followers 572,618. 11. Interskill Learning | MAINFRAME TRAINING ONLINE! About Blog Interskill Learning develops and supports the global Mainframe Computing Industry’s only comprehensive curriculum of self-paced e-learning! Facebook fans 167. Twitter followers 269. Zurich, Switzerland About Blog LzLabs Software Defined Mainframe® enables both Linux and Cloud infrastructure to process thousands of mainframe transactions per second, while maintaining enterprise requirements for reliability, availability, serviceability, and security. Facebook fans 44. Twitter followers 203. Sugar Land, TX About Blog News, views, and items of interest on DB2 database management and mainframe systems. Facebook fans n/a. Twitter followers 5,659. Facebook fans 1,444,562. Twitter followers 393,759. Chaska, Minnesota About Blog Simon Systems is a full service reseller of refurbished IBM Banking Systems and IBM Mainframes. Specializing in refurbished IBM System z and zEnterprise. Facebook fans 83. Twitter followers 34. Sarasota, FL About Blog Cheryl Watson is known around the world for her passion and enthusiasm for IBM mainframes and the software that runs on them. She is most well-known for her z/OS (formerly MVS) newsletter, Cheryl Watson’s Tuning Letter, published since 1991. Boston About Blog Alan Radding, the author of DancingDinosaur, is a 20-year IT industry analyst and journalist covering mainframe, midrange, PC, web, and cloud computing. Feel welcome to check out his website . About Blog The latest mainframe news for IT professionals including mainframe software, hardware, management, security, storage and technology companies. 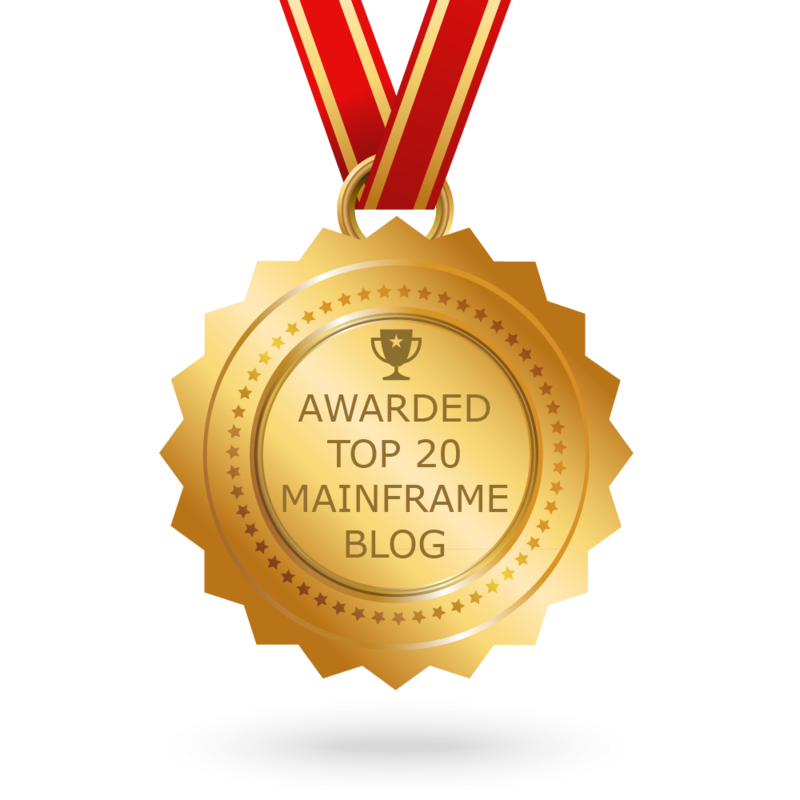 CONGRATULATIONS to every blogger that has made this Top Mainframe Blogs list! This is the most comprehensive list of best Mainframe blogs on the internet and I’m honoured to have you as part of this! I personally give you a high-five and want to thank you for your contribution to this world.